Greg Marquis, a professor of history at the University of New Brunswick’s Saint John campus, will have a number of events this month and next for Truth and Honour, his new book on the high-profile murder of Saint John businessman Richard Oland and the trial of the slain executive’s son, Dennis Oland. The first will be a launch event on Thursday, Oct. 6 from 7 p.m. to 9 p.m. at UNB’s Grand Hall in uptown Saint John, followed by an author talk and book signing Oct. 15 at Indigo East Point in Saint John from 1 p.m. to 4 p.m. In Fredericton, there will be a book signing on Oct. 9 from 1 p.m. to 3 p.m. at Chapters. On Oct. 19, there will be a launch event at the Fredericton Public Library from 7 p.m. to 8:30 p.m. In the Moncton area, he will be signing books at Chapters in Dieppe on Oct. 8, 2016. Dr. Marquis will launch the book in Ottawa on Oct. 27 and deliver an author talk in Halifax on Nov. 9. Truth and Honour explores the 2011 murder of Richard Oland, of the prominent family that owns Moosehead Breweries, the ensuing police investigation and the arrest, trial, and conviction of the victim’s son Dennis Oland for second-degree murder. The trial would be the most publicized in New Brunswick history. What the trial judge called “a family tragedy of Shakespearian proportions,” this real-life murder mystery included adultery, family dysfunction, largely circumstantial evidence, allegations of police incompetence, a high-powered legal defence, and a verdict that shocked the community. Today, the Oland family maintains Dennis Oland’s innocence. Dr. Marquis leads readers through the case, from the discovery of the crime to the conviction and sentencing of the defendant. Offering multiple perspectives, Truth and Honour explores this question: was Dennis Oland responsible for the death of his father? He continues to follow the case closely. He will be taking in Dennis Oland’s appeal of his conviction before the Court of Appeal of New Brunswick Oct. 18 to 20 and, while in Ottawa, will be attending the Supreme Court of Canada hearing on Mr. Oland’s appeal of the denial of his bail while awaiting trial. 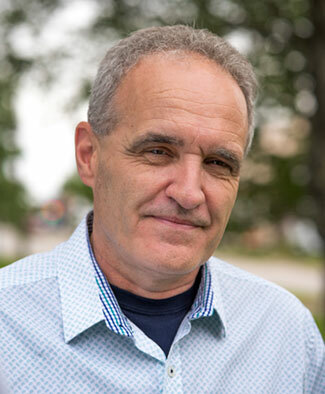 Dr. Marquis teaches courses in Canadian and criminal justice history. He is author of Policing Canada’s Century: A History of the Canadian Association of Chiefs of Police (1993), In Armageddon’s Shadow: Canada’s Maritime Provinces and the Civil War (1998) and The Vigilant Eye: Policing Canada from 1867 to 9/11 (2016).